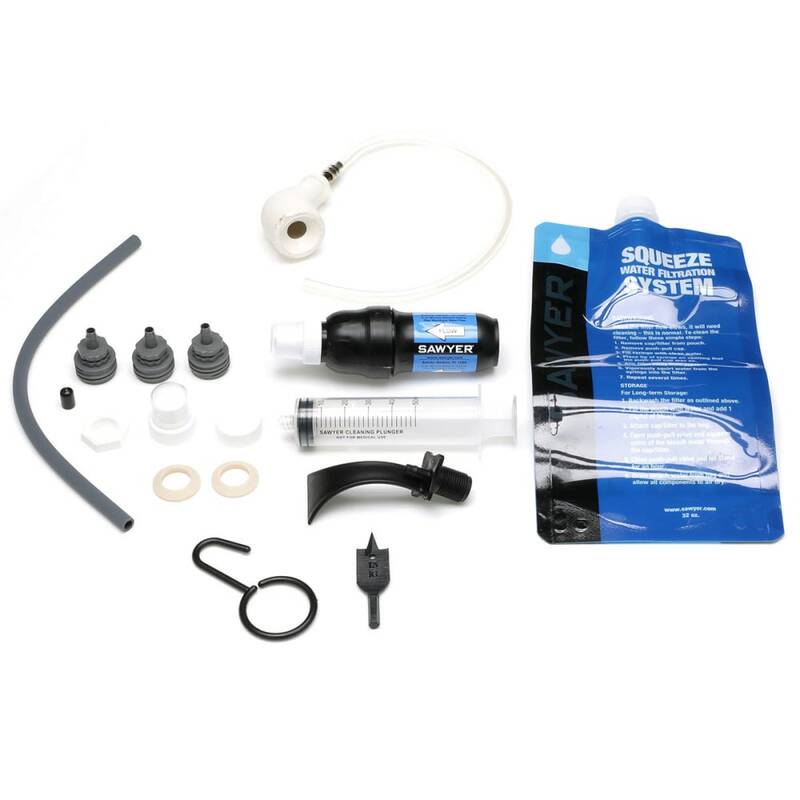 Ideal for backcountry treks with a large group of campers and emergency preparedness, the All-in-One Squeeze Water Filtration System provides an easy-to-use, portable, and high-flow water filtration system that can be used in a variety of situations. Using the included adapters, attach the filter to a 5-gallon bucket (sold separately) for high-volume potable water, or to a household faucet. 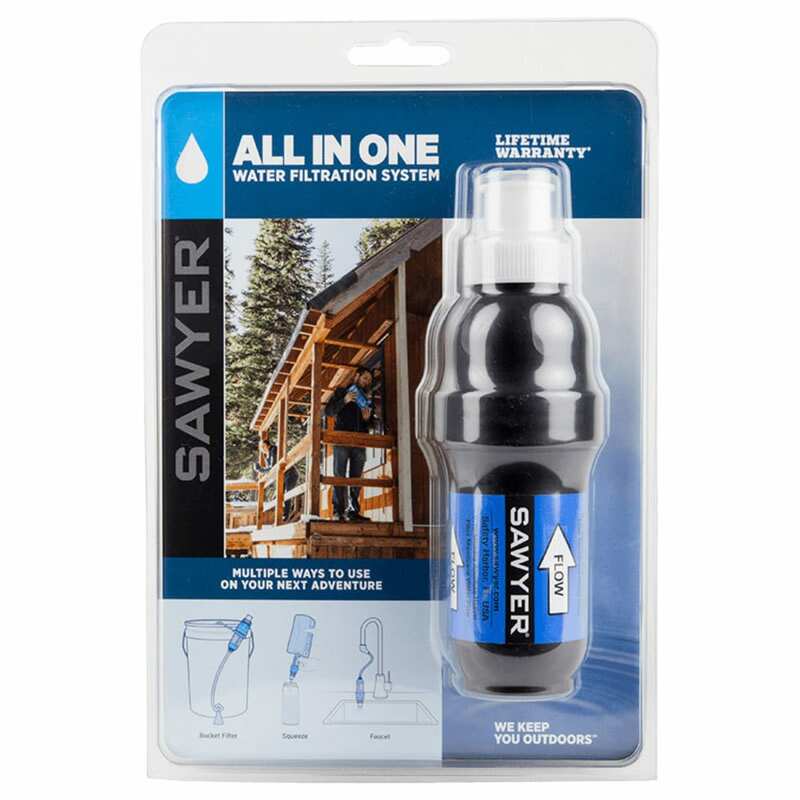 The kit also comes with a 32-ounce (1-liter) BPA-free collapsible water pouch for personal use while backpacking or traveling.